The Los Angeles Lakers have found their replacement for former head coach Byron Scott. 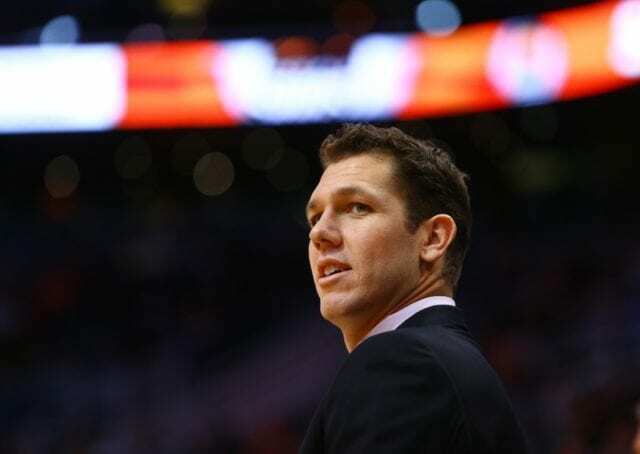 After considering a long list of potential candidates for the vacant head coaching job in Los Angeles, the Lakers brass decided Luke Walton is the man for the job. Walton played 11 seasons in the NBA before choosing to go into coaching with nine of those seasons being played in a Lakers uniform. The 36-year-old won two NBA titles with the Lakers before being traded to the Cleveland Cavaliers in 2011 where he played out the final two season of his career. It didn’t take long for Walton to get an opportunity to be on the coaching side of things with his first stint as an assistant coach coming with the University of Memphis during the 2011 NBA lockout. 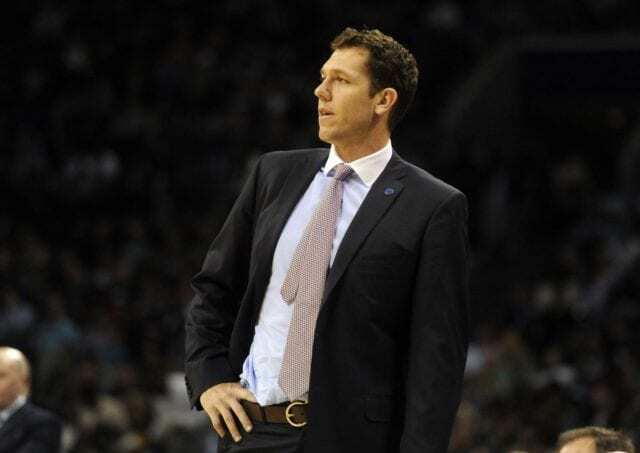 Walton’s next gig came in November of 2013 when he returned to Los Angeles for a short period before joining Steve Kerr’s coaching staff with the Golden State Warriors. Walton was briefly a player development coach for the Los Angeles D-Fenders, the Lakers D-League affiliate, before serving under Kerr for the last two seasons in Oakland. After winning an NBA title as an assistant coach with the Warriors last season, Walton took over for Kerr as the team’s head coach at the beginning of the 2015-16 NBA campaign. Kerr was dealing with health issues due to complications from back surgery resulting in Walton coaching the Warriors to an impressive 39-4 record. Although Walton made a name for himself coaching the Warriors during the beginning of this season, he’ll have his work cut out for him back in Los Angeles. The Lakers are coming off a franchise-worst record of 17-65 with a lot of questions surrounding the future of the team heading into the offseason. The Lakers brass may have won a small victory by hiring Walton to be Scott’s successor, but there’s a lot of work to be done this summer. The team will learn their fate regarding whether they will keep their first-round draft pick in the NBA Draft Lottery on May 17 followed by the draft on June 23 and the start of free agency on July 1. Despite an uphill battle, Walton does have a promising young core of players to start his career as an NBA head coach in Los Angeles. D’Angelo Russell, Jordan Clarkson, Larry Nance Jr. and Julius Randle are all talented players and will make up the building blocks for this team as Walton tries to get this franchise back on track.